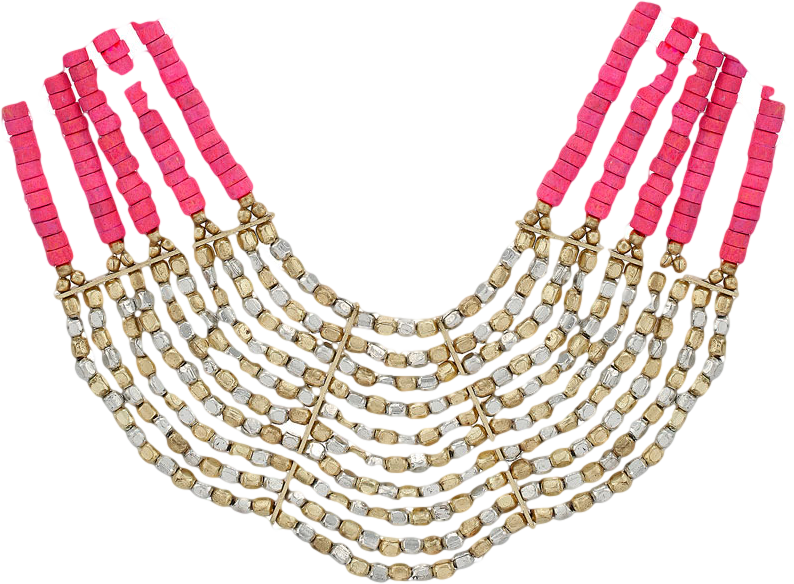 Multi row beaded necklace made of small pink beads with gold tone and silver tone beads at the bottom, sits 7.75 inches from the neck with 2.5 inch extension chain. Metal. Wipe Clean Only.